Challenge! Can your kids guess their friend’s love languages? Meditation is a great way to improve your child’s wellbeing. I love this meditation because it will get your kids thinking, not only about kindness, but the way we are kind to others, their love languages and how we can best nurture the people around us. Give it a try tonight and while you are add it, explore Insight Timer for other great meditations. It’s one of my favorite sources of easy-to-use meditations. Are you keen to see your child performing more acts of kindness? Research says that ‘attribution’ plays a role in encouraging this. 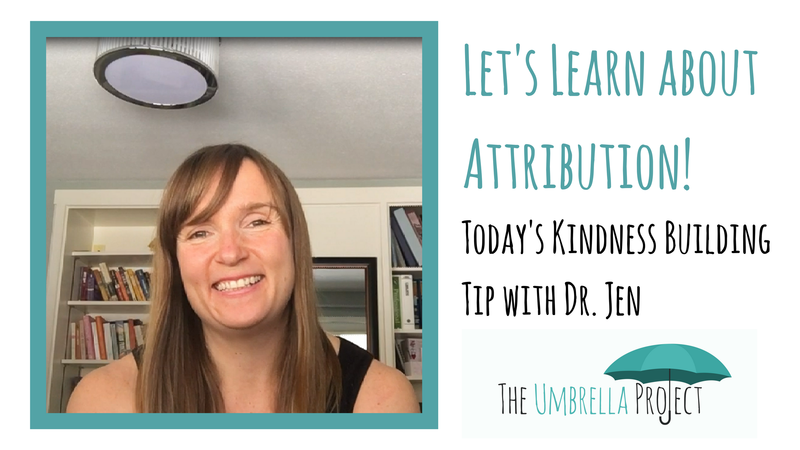 Learn how you can use attribution to build kindness in today’s video tip with Dr. Jen! View it below or on our Facebook page. 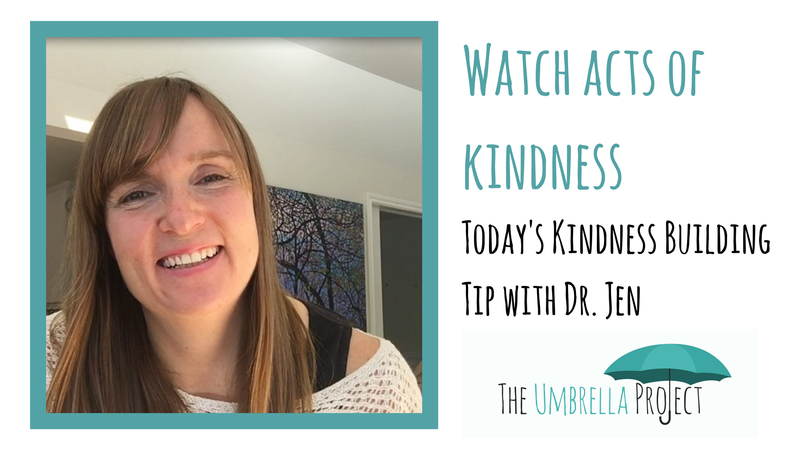 Dr. Jen explores what this means for you and your kids in today’s video tip. Don’t miss it! View it below or on our Facebook page. 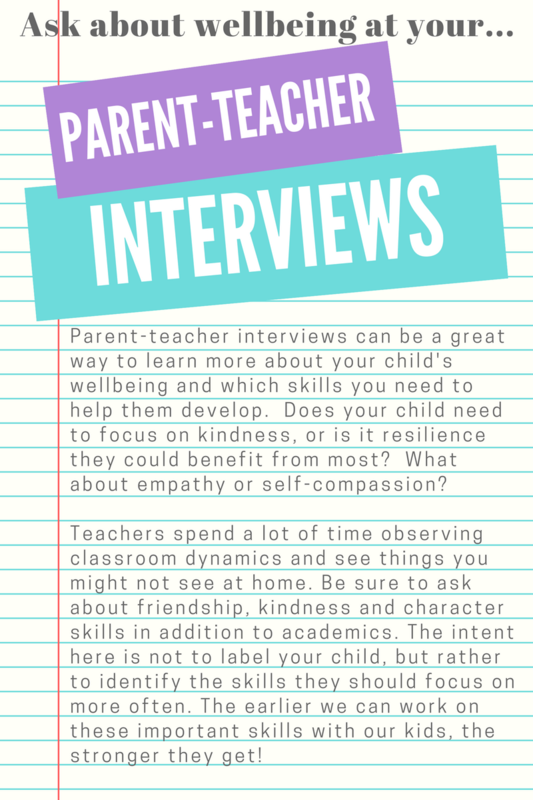 Parent-teacher interviews can be a great way to learn more about your child’s wellbeing and which skills you need to help them develop. Does your child need to focus on kindness, or is it resilience they could benefit from most? What about empathy or self-compassion? Teachers spend a lot of time observing classroom dynamics and see things you might not see at home. Be sure to ask about friendship, kindness and character skills in addition to academics. The intent here is not to label your child, but rather identify the skills they should focus on more often. The earlier we can work on these important skills with our kids, the strong they get! Download a PDF copy of the infographic above by clicking here. Don’t forget to also follow our video tips on Facebook! Ever have one of those days? You’re upset, the kids are upset – nothing is going right! Good news! 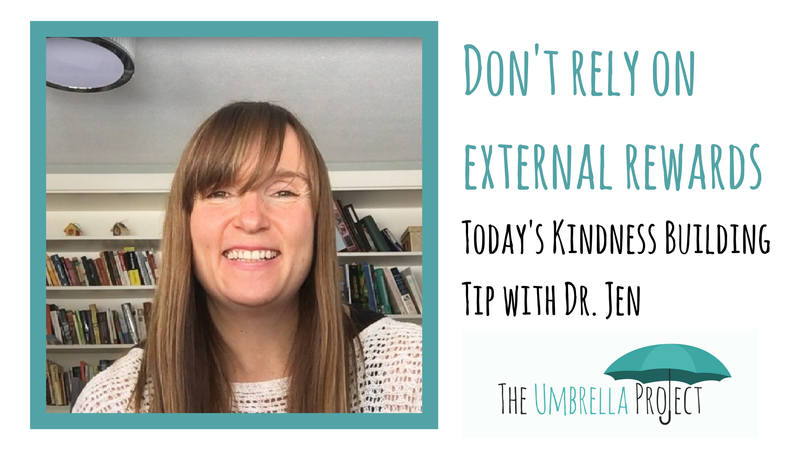 Today’s tip with Dr. Jen will help you hit the refresh button on the day for you and your kids. Watching acts of kindness can be incredibly helpful to help boost our happiness in these stressful times. Watch the video tip on our Facebook page or click the video below to view! Popularity influences our child’s experience with kindness. 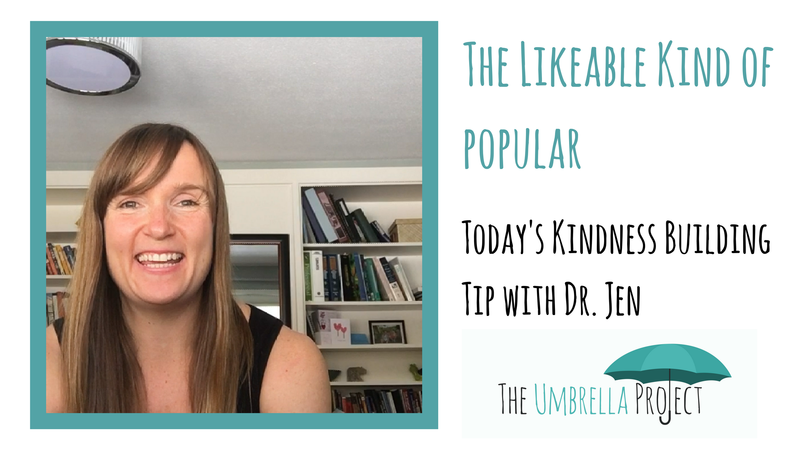 In today’s video, Dr. Jen talks about the two different kinds of popularity and what we can do to help our child become the likeable kind of popular! Watch the video tip on our Facebook page or below!